When we are stuck inside, I KNOW my kids need to expend energy and exercise! 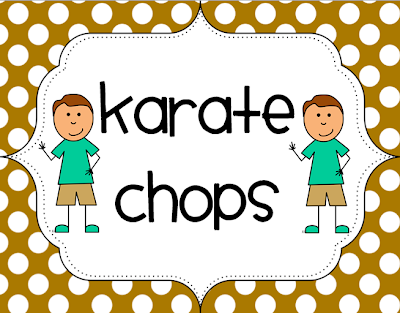 I came up with some fun physical activities for the kids to do. I set it up like stations. 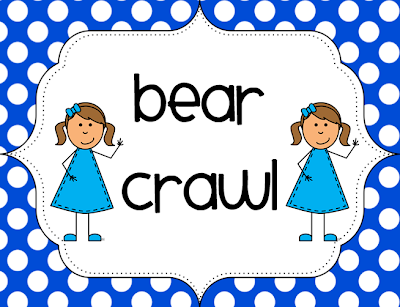 I hang posters around the room, and kiddos rotate with a partner to each "station." None of the activities require any equipment so it's fast and easy to set up. 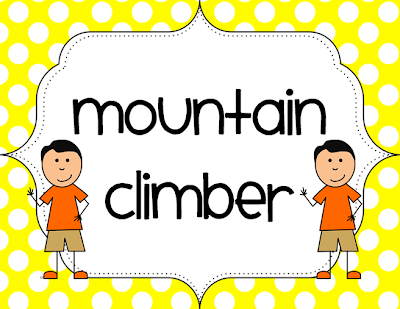 The exercises are all common, and kiddos are familiar with them from PE class so they really have a ball with it. As always, set your behavior and noise level expectations before beginning! Have fun! Comment on this post and let me know what you think. Don't forget to include your e-mail. I'll choose a few lucky winners, and send you Inside Recess Fun for FREE! What I love about it, is that it can be used in various ways - raining days, brain breaks, whole group center time - play. I would love to have a copy of this packet. I love this!! Inside recess is not fun and our little sweetie pies need to get out some energy!! This would be so fun and good for them, especially ones who only play video games at home :) love it, love it, love it!! 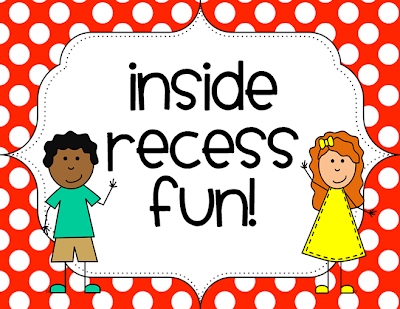 The kids don't like inside recess so your pack would be great to add some fun factor to inside recess! 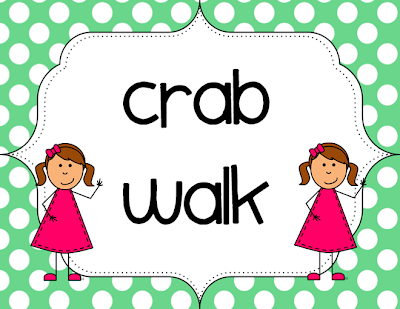 The crab walk is funny! We just spent 4 out of 5 days (of the first week of school) doing inside recess.... WE SOOO NEED THESE posters. I love your creativity. We always have a lot of days of inside recess. This would be fun for my large class and a great way to get rid of their energy! 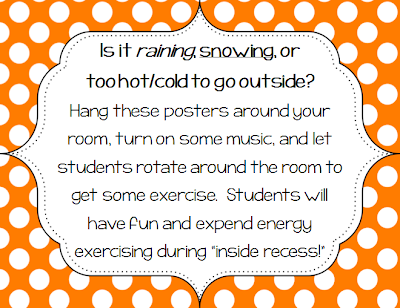 This is such a great option for indoor recess, which can be such a drag! What a wonderful idea. My students love movement breaks. Such a great way to release energy.